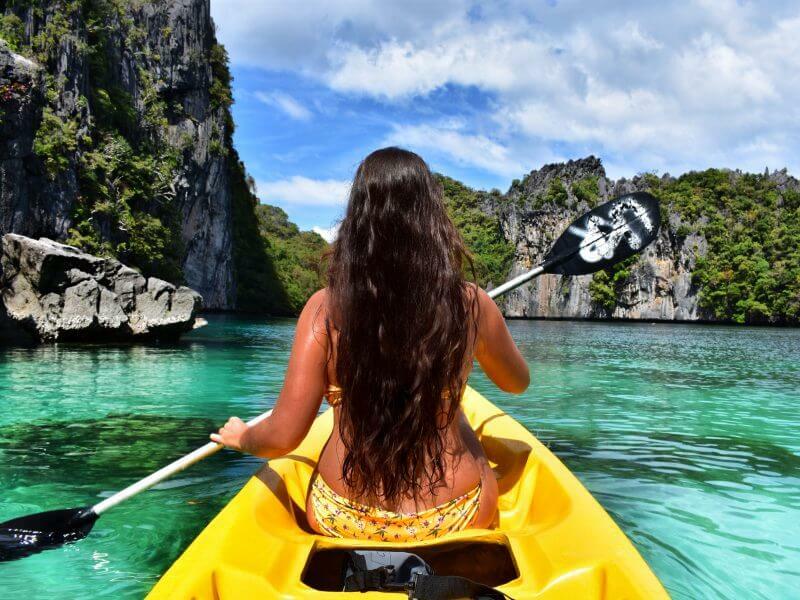 If you like to paddle, then Kayaking is one surefire way to slowly enjoy El Nido’s natural beauty. Kayaking in El Nido is a highly recommended adventure activity that lets you enjoy the pouring sunshine and life’s simple pleasures. Paddle through the calm waters and explore the islands around Bacuit bay freely at your own pace. Get a water-level view of El Nido’s marine life with a clear kayak. Visit the nearby pristine beaches and bathe in crystal clear waters to your heart’s content. You can choose to paddle across on your own or hire a professional kayak guide who could guide you to the nearby beaches and lagoons, and take photos of you while you relax. Our itinerary specialist can offer paddling options to suit your interests.